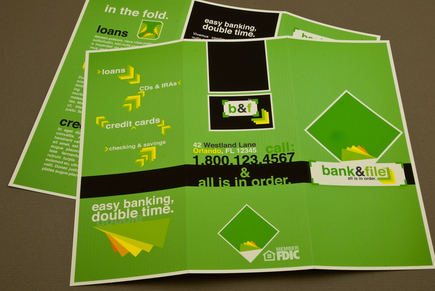 This informative brochure is perfect for a local bank offering various products and services to individuals and businesses. The interior has adequate space to give an overview of account types and a graph to showcase success rates. The clear headings clearly highlight the various sections, giving this brochure a good degree of readability.